If you’re looking for a therapeutic getaway that will leave you refreshed, energized, and ready for a return to the daily grind, then a spa vacation is perfectly ideal. At these wellness resorts, you can expect idyllic luxury, cryotherapy, and an overall sense of true relaxation. The quality of these spas is measured by the skill of the therapists, the caliber of the treatment, and the sense of well-being and health that the guests feel at the end of their stay. Enveloped by luxury, tranquility, and serenity, Thailand’s famous spa getaways are the perfect retreat for those looking to soothe their body and mind. The world-famous holiday destination is widely regarded as the best location for a spa vacation in Asia. The sublime spa retreats the country offers are staffed by some of the best wellness-practitioners in the world. Here, visitors can immerse themselves in the art of true relaxation, meditation, and healing. In Thailand, you can choose from medical spas, luxury health-retreat, and more exotic spas focused on ancient healing-arts including holistic health, yoga, detoxes, stress management, and more. Some of the country’s magnificent spa resorts are located in the nation’s vibrant capital, while others can be found in more remote locations, spread across the region’s magnificent landscape. Our favorite spa resorts in Thailand include the marvelous Kamalaya, situated in the Koh Samui valley. There’s also as the Chiva-Som, one of the greatest cleansing spas in the world which is located in the tropical gardens in Hua Hin, just a few hours drives from Bangkok. Israel is perhaps best known for its incredible scenery and wealth of ancient heritage sites. However, it has also developed a fine reputation for its remarkable selection of health resorts and spa destinations. If you’re traveling to Israel for spa vacations then the place to visit is the Dead Sea – a salt lake bordered by Jordan to the east and Israel to the west. 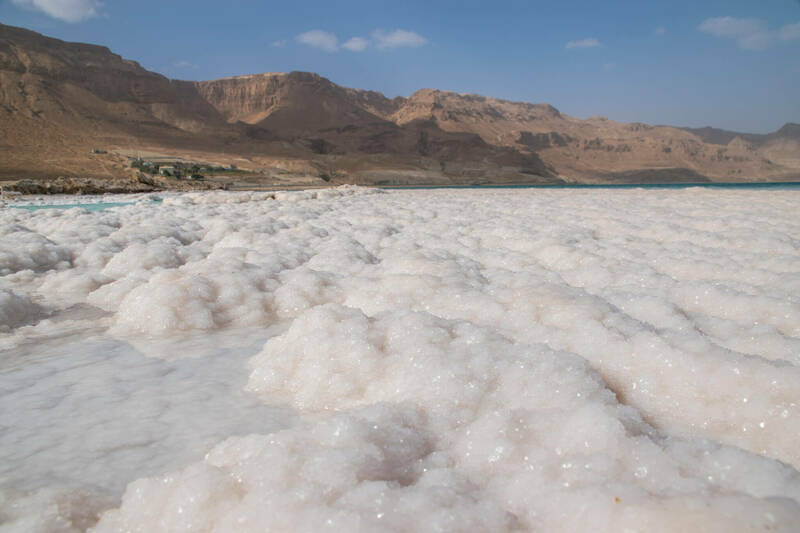 Known as the saltiest body of water on Earth, the Dead Sea is home to plenty of natural minerals and resources that provide a wide array of natural healing and putative therapies. These include climatotherapy, facilitated by the reduced UV levels, osteoarthritis relief, provided by the mineral-rich mud, as well as thalassotherapy from the saline waters. Along the coast there is an array of world-class resorts and treatment centers, specializing in providing the absolute best that the natural resources of the Dead Sea have to offer. Some of best spas in Israel include the Crowne Plaza Dead Sea Spa Hotel, the Spa Club Yam Hamelach, the David Dead Sea Spa Resort, and the Lot Hotel that is particularly specializes in health treatment.. In Bali, you can immerse yourself in the ancient arts of Asian healing. These include unique Balinese aromatic massages, herbal scrubs using local ingredients, and traditional ‘Jammu’ treatments. In the famous Bali resorts, you can expect world-class service from staff trained over many generations s in the art of aromatherapy, using locally sourced essential oils. Some of best spa getaways in Bali include the Spa Village Resort in Tembok Bali and the Spa Village Resort Tembok Bali. Last, but certainly not least, there is Switzerland which offers some of the best spa resorts in the world. The country has been hosting health tourists for centuries, largely due to the incredible healing qualities of the fresh Alpine air. Across the dazzling suncapped Alps, there are entire towns dedicated to providing the very best in terms of spa treatments and holistic healing. The fresh air, magnificent views, and pure waters combine to provide the ultimate in spa getaways. During the winter months, the lakes freeze over and there are a variety of snow-themed healing and wellness activities on offer. Some of best spa destinations in Switzerland include the Ferienart Resort & Spa, the La Réserve Genève Hotel, Spa and Villas and the Panorama Resort & Spa.